As the account manager, how can I unregister a SnapGene license on a computer that is not physically accessible? Go to snapgene.com, and click Manage My Account. The original password was sent in an email immediately after purchase. 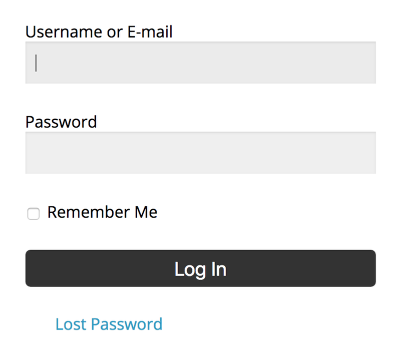 If you have lost the password, click Lost Password to obtain a new password by email. 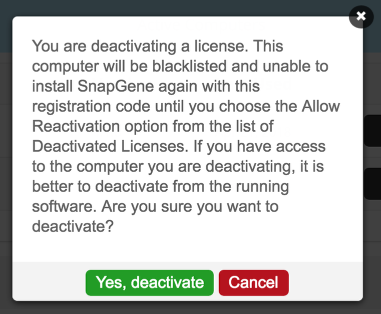 To allow the computer owner to use a SnapGene license from your group again, expand the Blacklisted list, then click the Enable Reactivation button next to the name of the relevant computer. 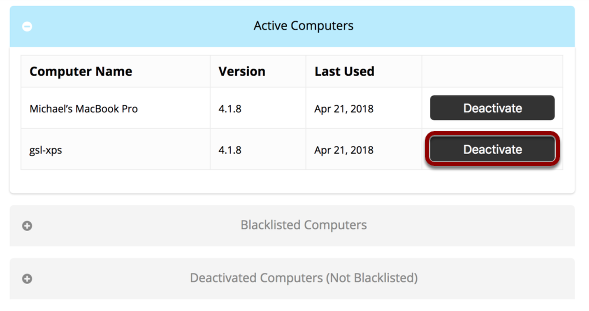 This will move the computer to the Deactivated Computers (Not Blacklisted) status. 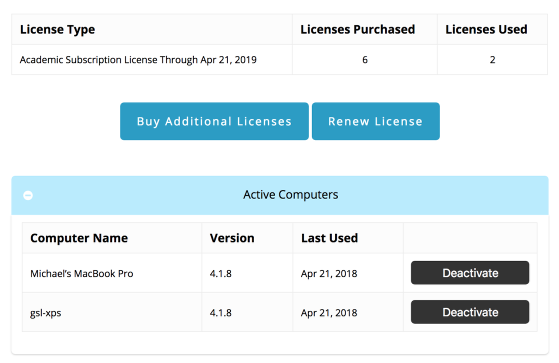 After the computer owner registers with your code, that computer name will move to the Active Licenses list.